What do you do when one of your most critical applications isn’t supported by your backup vendor? Do you find a new backup vendor, change applications, figure out a different solution, or cry silently in the fetal position on the server room floor? This, like any other problem, needed a solution, and this post is to share that solution with others. Keep reading. We had just deployed a 2-node Hytrust KeyControl v4.0-11538 cluster for use with VM Encryption (vCenter 6.5d, all ESXi hosts at 6.5d). Each cluster node was running as a VM with one node inside a vSphere cluster and one node outside. Everything worked great…except for backups using Rapid Recovery. Since Hytrust runs a very customized version of FreeBSD 32-bit, we were not able to install the Rapid Recovery agent on either node. Even if we could have installed the agent, Rapid Recovery does not support FreeBSD as an operating system on which their agent will run. I had hoped we would still be able to backup at least one node agentlessly via the vSphere APIs for Data Protection, but Rapid Recovery does not support agentless backups of operating systems not supported by the agent per this article. At this point, 3rd party backup with Rapid Recovery was ruled out completely. And maybe that wasn’t a bad thing. That’s what I kept telling myself anyway. As mentioned above, we’re using Hytrust KeyControl as a KMS for VM Encryption. This article explains more about the inner workings of VM Encryption from the standpoint of how vCenter and the KMS interact. Hytrust KeyControl clusters provide active-active KMS functionality with the configuration fully synchronized between all cluster nodes. In a 2-node cluster, if one node fails and cannot be recovered, you can easily remove the failed node from the cluster, spin up a new VM using the Hytrust OVA or ISO, and add it as a new member to the cluster. That will fully mirror the configuration to the new node and bring back your redundancy. What we were trying to guard against was the scenario of total KMS cluster failure. If somehow both nodes of the cluster were to fail, it creates a very large problem. If the encryption keys the cluster was managing were not backed up, there’s no way to restore the KMS cluster and no way to decrypt the data. That would mean the encryption keys for almost every VM in our datacenter just disappeared into oblivion. For VM Encryption to work properly, you need both vCenter and a KMS online. I noticed there was an option within the Hytrust web GUI to take and download a backup of the cluster, but there was no option to do this on a schedule and download the backup for safe keeping. In fact, it appears each time you perform a backup, it will overwrite the one saved on the appliance. Downloading the backup is a manual process as shown here. There had to be a way to script this. As luck would have it, the Hytrust appliance has REST APIs that can be leveraged for various tasks. So I put on my Powershell hat and decided to go for it. 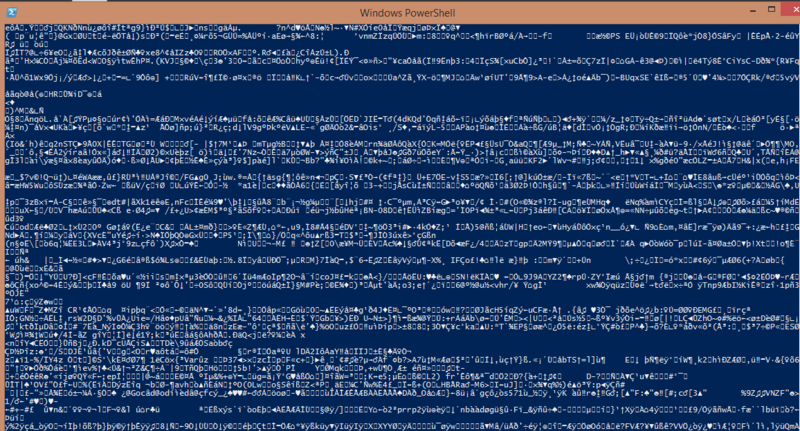 All of the Powershell commands shown here were done from a Windows 8.1 Pro machine running Powershell 4.0. The first thing to do when connecting to a system like this is to login. 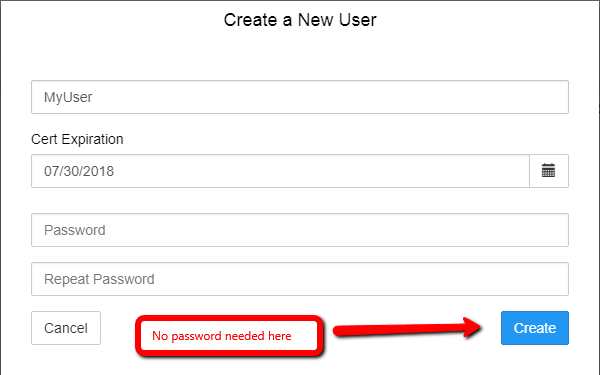 The $headers variable below needed to be added to login successfully via the API call with a Hytrust username and password. My understanding is a user with secroot access is needed for all steps shown below to succeed. Login to one node of the Hytrust cluster (should not matter which one). After logging in with a user that has permissions to manipulate the cluster’s KMIP configuration, click on the KMIP menu. Now make sure KMIP functionality is enabled for your cluster (needed when using VM Encryption), and apply the changes. After the changes have been applied, click on Users. This will take you to KMIP users. If you had to enable KMIP above, you probably don’t have any KMIP users created. If you’re already using VM Encryption, you should have a user created in this area and can go straight to the step for downloading certificates. To create a new user, go to Actions -> Create User. Give the user a name (whatever you want), and click Create. There is no need to enter a password. Notice the certs for this user will expire after 1 year by default (which could be changed if you want). Now that you see the newly created user on the list of KMIP users, click to select the user. Then, go to Actions -> Download Ceritificate. 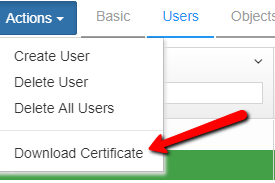 This process should download a ZIP file to your computer containing two certificates – the CA certificate for Hytrust and a user-specific certificate for KMIP communication with another server (such as vCenter). Now, import the cacert.pem file into Trusted Root Certificate Authorities store on the computer you are using per this article. will place the proper authentication token into our $Token variable for use with future API calls. If we were to show the contents of the $Token variable, it would look something like the screenshot you see below. The result comes to us in the form of an array. The access_token field is unique to this specific login session (which will stay active for 1 hour by default unless you renew the token or logoff). Invoke-RestMethod : Cannot bind parameter ‘Headers’. Cannot convert the … value of type “System.Management.Automation.PSCustomObject” to type “System.Collections.IDictionary”. 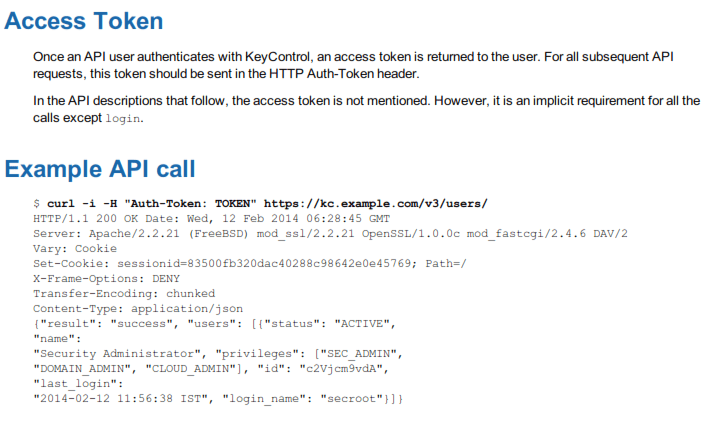 I must confess I only knew to add the specific “Auth-Token” string as part of the iDictionary variable above after finding additional details on how the access token returned by the login call is used. Our newly built command using $Token2 here will generate a success message. It creates a .bu file you can download from the cluster node to which you are connected. If you have a SMTP server configured for your cluster, you should get an e-mail that a backup was created. But now we need to download that backup. If you take the command above and change the method to GET instead of POST, you will see what looks like The Matrix in the Powershell console window. First, how do you know this backup file can be restored? I spun up a new Hytrust cluster node and tested it to verify everything was indeed restored. That would actually make for a great next blog post. The script is stored on a volume on a Windows Server that only the IT Department can access in any way (physical access restricted, NTFS sharing and security permissions restricted). The backups are stored on this same volume (also restricted). The volume mentioned here is backed up daily using our backup software and will be replicated offsite. The script runs daily via Windows Task Scheduler using a specific user account via the method described here, which will bypass the server’s Powershell execution policy only when the script tuns. The retention period for backups is 7 days per Hytrust’s recommendation. E-mail alerts will fire any time a backup is taken. Here’s the full sanitized script that will retain all backups created in the last 7 days in a directory of your choice. I probably could have put it on GitHub but did not go there this time. $BackupDir = "Insert File Location Here"
$FileName = $BackupDir + "" + $MyDate + "." + $MyTime + "_" + $shortserver + ".bu"
Hopefully this helps someone out in the future.